Hosted in partnership with World Learning and sponsored by the U.S. Department of State Bureau of Educational and Cultural Affairs, the Center for Politics is responsible for organizing and implementing the opening week of two three-week long high school student and educator exchange groups from Argentina, Chile, Bolivia, and Peru. While at the University of Virginia the participants receive a cultural introduction to the U.S., learn about the importance of civic engagement, begin the planning of civic action projects, visit a local high school, participate in community service, visit cultural sites, and further develop their team building and leadership skills. 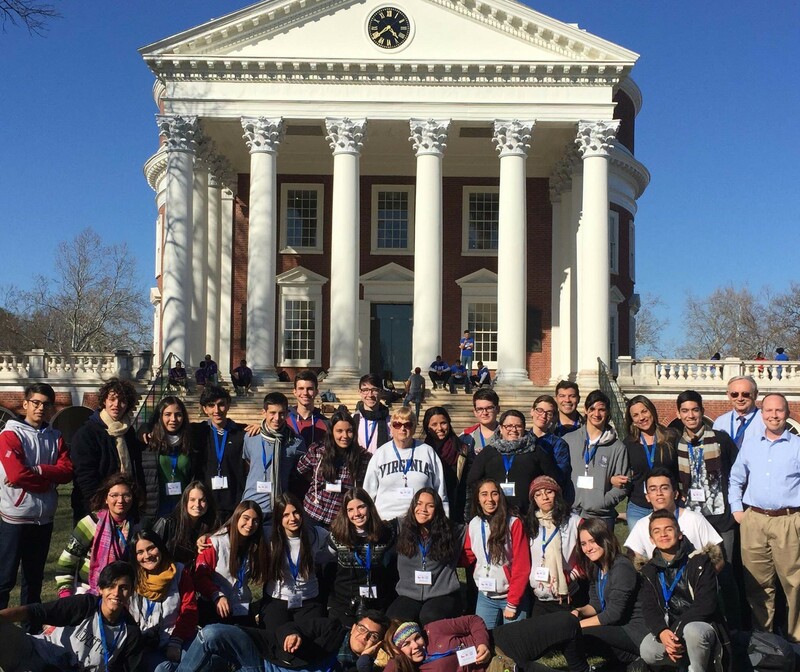 Each exchange group includes 26 students and four educators with the Argentina/Chile program taking place in March and Bolivia/Peru in October. Following these weeks at the University of Virginia, the students participate in two-week long homestays in cities around the country. Upon the conclusion of each exchange, the students return to their home countries where they implement civic action projects and share with others the importance of civic participation. Contact Daman Irby at (434) 243-8475 or irby@virginia.eduirby@virginia.edu if you have questions about the U.S. Youth Ambassadors Program with Argentina, Chile, Bolivia, and Peru.